Dhenkanal is one of the centrally positioned districts of Odisha. The district is spread over an area of 4595 square kilometers that stretches across the geographical coordinates of 20° 29′ to 21° 11′ North latitude and 85° 58′ to 86° 2′ East longitude. The district is predominated by the agricultural sector. The district of Dhenkanal is bound on the east by the Jajpur district. Keonjhar district lies to the north of the district of Dhenkanal. The district of Angul borders Dhenkanal on the west. On the south lies the district of Cuttack. The topography of Dhenkanal district is marked by the hilly regions and the valley formed by the river that flows in the district. The total population of the district is 10,65,983 according to the census conducted in the year 2001. Majority of the people of the district are engaged in the occupation of agriculture. When we are taking about the Tourist Spots and the Picnic Spots in Dhenkanal District, in that case we see there are various and famous Tourist Spots and Picnic Spots in Dhenkanal. Here you can get the information about the best Picnic Spots or most popular tourist spots in Dhenkanal District of Odisha. If you want to know the List of Famous Picnic Spots in Dhenkanal District of Odisha then see the below tourist spot link to know about the Famous Picnic Spots in Dhenkanal District of Odisha and experience the Dhenkanal Tourism. This temple is 72 km from Dhenkanal, 45 km from Angul and 25 km from Talcher town, Kualo is famous for housing a plethora of temples dedicated to Lord Kanakeswar, Baidyanath, Paschimeswar, Balunkeswar and Kapileswar. In its ruined form, the temple of Kanakeswar is about 24 meters high and preserves some of the earliest specimens of sculptures representing ancient temple building activities in Odisha. 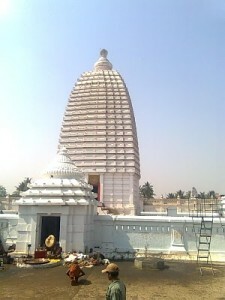 Naganatheswar temple belongs to Sri Sri Naganatheswar Shiva and it is at village Nagena, about 20 kms from Dhenkanal. It is the most ancient Saiva temple and was constructed during the reign of the Keshari dynasty. According to scholar Pandit Nagendranath Mohapatra-s Naganath Satakam, it is one of the 12 Yotir Lingas. In the Shotras of the Awashyotirlinga, one of the Yotir Linga is in the Daruka-Vana or Neem forest. This Neem forest is still there in the premises. 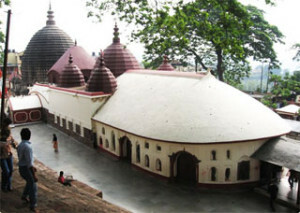 The sloka of Dwadasha Yotir Linga says that Naganath temple is situated in the southernmost part of Anga Kingdom. It shows that during some time in history, that part of Kalinga touched Anga border. However, nearer to it, there is the debris of a fort which is still unidentified. Here, the river Brahmani turns to north and is as holy as the Ganges. Sixty-seven kms from Dhenkanal, 23 kms from Angul and 3 kms from Talcher, is the Anantasyi image of Lord Vishnu, on the rocky bed of the river Brahmani at Saranga. The hoods of Ananta, the serpent king spreads over the head of Lord Vishnu as the crown and cover. The primal lotus, housing Brahma, the creator, originates from Vishnu-s navel, the Supreme Being enjoying deep delight of his cosmic sleep in the waters of the river Brahmani. 67 km from Dhenkanal and 30 km from Kamakshyanagar, Dandadhar is the site of an irrigation project on the river Ramial- an ideal place for outings. Its blue expanse of sparkling waters caged in a sun-bathed valley is a thrill for the searching eyes. Best for Picnic during Winter (December- February). The Dhenkanal is linked with Bhubaneswar Airport there by connecting itself with all Metros by regular Indian Airlines flights. Some Private Airlines also operate to Bhubaneswar. Dhenkanal is connected with the city of Cuttack & Bhubaneswar by NH.-5. It is also connected with Sambalpur & Rourkela by NH.-55. Regular Bus services are available to Kolkata, Raipur, Tata, Ranchi, from Cuttack. Taxi & Auto Rickshaws are also available . Indian Railways provides a network of Fast & Super fast Trains to all Major cities of Odisha. Dhenkanal is linked with different parts of India via Bhubaneswar & Cuttack. Give Responses for "Famous Picnic Spots in Dhenkanal District of Odisha"